This week we bring you Kierston Ghaznavi of Keghaznavi Illustration! 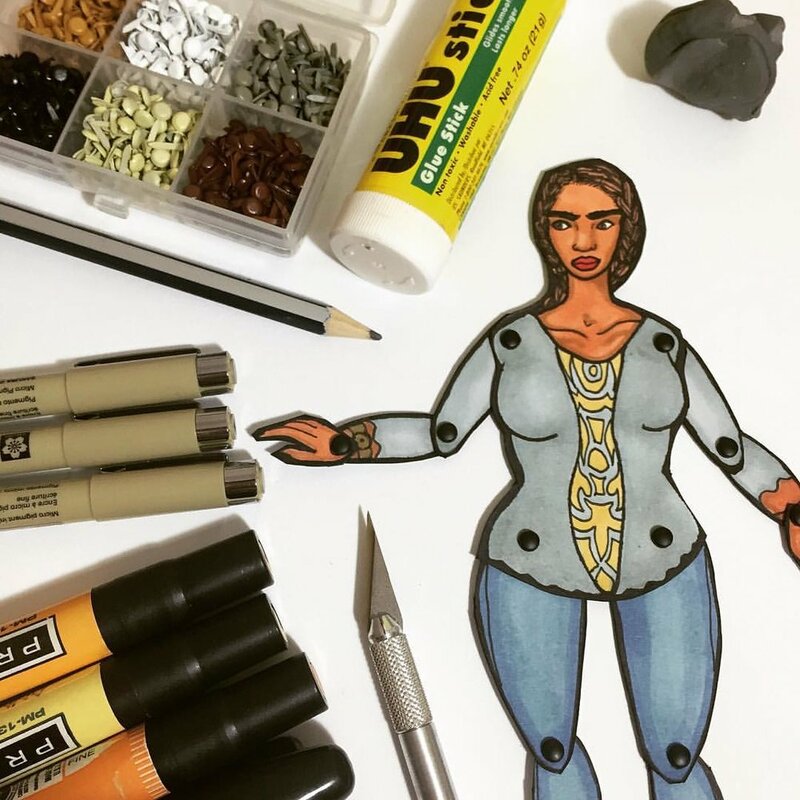 Kierston and I met at 2035 Art + Media Studio’s annual MKE United Festival and I fell in love with her dope illustrations, paper dolls, coloring books, and down to earth personality. Kierston is a Milwaukee native and UWM Graduate with a BFA Graphic Design. Kierston’s pieces are for sure one of a kind and eye catching, I love seeing women of color making meaningful and unique art work, she’s really reppin’ for Milwaukee’s black female visual artists. Keghaznavi illustrations focuses on creating positive images and reconstructing stereotypes about black women and black beauty as a whole. When I spoke with Kierston she stated, “I want to counteract the media portrayal of women of color (specifically black women)”. Kierston also discussed some heavy issues such as cultural appropriation and black face and how art can be used to make these negative ideas things of the past. Kierston draws inspiration from women she sees in everyday life, whether that be a passer by or an Instagram beauty. She creates her work because she loves and and has a desire to spread positivity through her medium, she also aims to make fine art more accessible. Kierston creates small things such as her original paper dolls or coloring book pages that can be priced affordably, “I want to take art from the walls and make it something you can use”. This is something us at CopyWrite can definitely get down with as we too feel like the art scene can be a little too pretentious at times. Creative, authentic, and positive, what is there not to love about this week’s #WCW? See more of Kierston's work at keghaznavi.com and follow her on Instagram.